At the time where the world's automotive manufacturers are being intensively made a lot of new cars by utilizing advances technology. But apparently, no one makes technology as cool as Lexus did. How not, they created a device that previously seemed merely exist in our imagination only. Yeah it's 'the flying skateboard'. 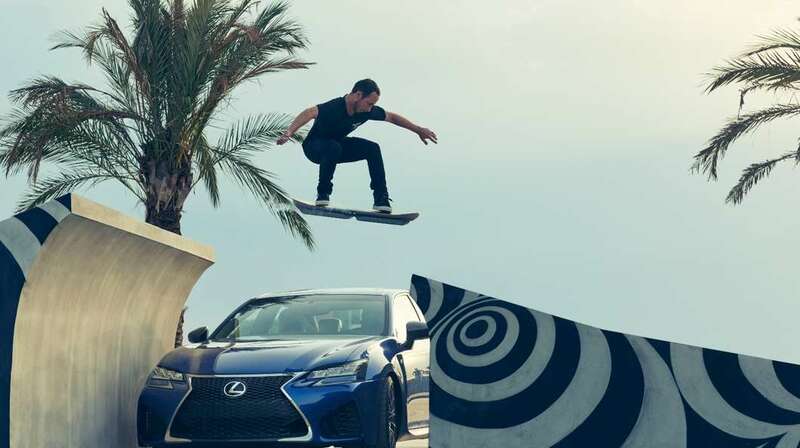 Lexus gives a name to their flying skateboard as 'Hoverboard'. The technology of magnetic levitation or maglev itself is not new. Previously, a startup company from the United States (US) ever make the same thing. In fact, this technology is also used in some mass transportation in China, Japan and Europe. Lexus spent 18 months to complete this special project. And they are reluctant to disclose how much money is spent. Well, here is a video that tells about the process of making the Lexus hoverboard and its track.